Everybody has dreams, something that they want to do or achieve in life, so is it safe to assume that as your are reading this post your dream is to start an online business? It is sad to say that most people’s dreams stay dreams. You may have seen people who have created an amazing lifestyle through having an online business but for some reason you still think that it is too far from your reach. In this post I hope to allay those thoughts and show you that it is entirely possible. So let me ask you. What is it that is actually stopping you from following your dream of owning your own online business? Is it lack of finances, a lack of belief that you can do it, you have not got the motivation or is someone holding you back with negative thoughts? I will tell you now that there is no magic formula, so if that is what you are looking for then it does not exist. What I can do for you though is to share with you 4 tips on how you could fulfill your dream of having your own online business. Online Business – It Is Up To You To Take Action – Look in the mirror, only you can make it happen by taking action. Only you can decide if you will be successful or not and to achieve the goals that you set. You must live and die by the decisions that you make, don’t blame anyone else if you are still in the same position in 10 years time as you are today. Sorry for the tough love but it has to be said. If you wait for other people to make it happen for you then good luck with that! Online Business – What Do You Want? – This is where you have to define exactly what you want. If you want to make $10,000 a month then say it and write it down. 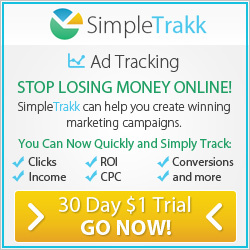 Don’t just leave it hanging that you want to make a few extra hundred dollars a month. Because you know what will happen? Exactly that! You must have a clear vision and mission as to what you want out of life to give you any chance of achieving it. Online Business – Have You Got The Belief? – Without believing that you can run a successful online business then don’t even bother to start. What is the point! Get the “I can’t do it” and “I am not technical enough” thoughts out of your brain. Stop complaining and get positive. Tell yourself “you can do it” and that will breed success. Online Business – Goal Setting – You must set goals and have something to work to. The trick is to break them down into smaller and bite sized pieces of the puzzle. Don’t just go out and say ” I want to build a million dollar company”. Instead work out some goals like “in 3 months I want to turn over $2000 a month” then in “6 months I want to turn over 10,000 a month”. Build it up incrementally so it does not put to much pressure on yourself right from the word go. What you will find is that when you reach your first smaller goal it will give you momentum to get to the next and then the next e.t.c. 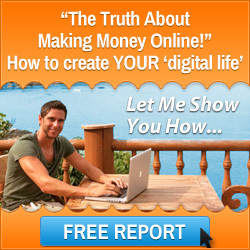 So Are You Ready To Start Your Online Business & Create The Lifestyle That You Have Been Dreaming About? As an experienced online business coach I can help you fulfill your dreams. I can introduce you to all the resources that you need to make it happen and you can start today. 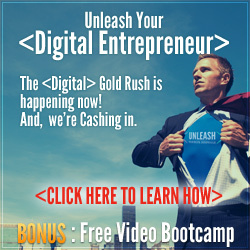 I am a top level coach in an online business training company. Our company specializes in helping people start profitable online businesses from scratch selling high ticket products. We give you all the training, tools and resources and help you create a blueprint for success, if you follow our proven training programs. 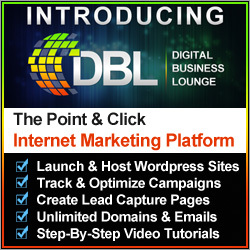 I have a dedicated website which gives you all the information that you need to get started. So click on the image below now to learn more. With my help, your dream of having your own online business can become a reality. It is now up to you to take my first piece of advice and take action. Click the image above to learn more. This entry was posted in Start Home Business and tagged mark ford, online business, starting an online business. Bookmark the permalink.